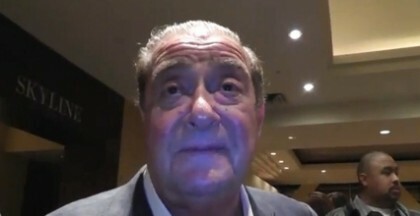 Arum: "Wait For The Weight!" What would a Chávez Jr. fight week be without a concern about his official weight? It took up the majority of the questions during Tuesday’s media conference call that he and Arum hosted. The contract weight for Saturday’s super middleweight rumble is a maximum of 168 pounds for the two fighters. “Julio must be a Union man because he seems to be working for scale for this event,” said Arum with tongue firmly planted in cheek. A member of Team Vera suggested that Tecate Light sponsor the official weigh-in and that Chávez change his middle name from César to Cerveza. Friday’s official weigh-in will be streamed live from the Gold Room at the Millennium Biltmore Hotel (506 South Grand Ave., Los Angeles, Calif. 90071-2607), beginning at 6:00 p.m. ET / 3:00 p.m. PT via www.toprank.tv.